According to E! News, the gifts on Chopra’s Amazon registry total at a whopping $14,131.86. She selected essential household items as well as some more expensive, luxurious goods for the home, including bed, bath and kitchen. E! notes that Chopra also included travel items, which are important for a celebrity couple when they’re on the road, as well as items for her dog, Diana. Some highlights from Chopra’s list include: a $150 Crosley record player, a $160 Acme Furniture bar cart with clear glass shelves and rose-gold framing, a $99 Canon IVY mobile photo printer that works via Bluetooth (also in rose gold, which may point to a theme), $66 Ted Baker travel laundry bags, a $262 Philips SoniCare DiamondClean smart electric toothbrush complete with accessories, a $2,000 14-piece All-Clad cookware set, a $190 KitchenAid stand mixer in white and a $55 Blueberry brand pet bed. Chopra and Jonas got engaged in July after two months of dating, per E! 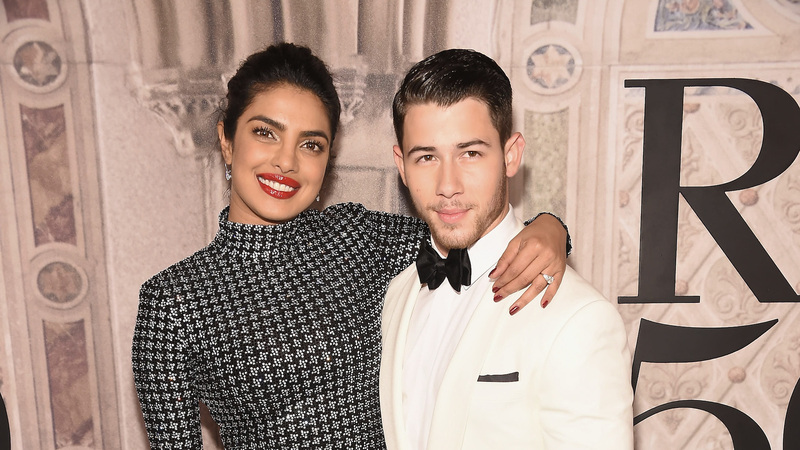 News, and Harper’s Bazaar reports the pair are planning a multiday affair in India at the end of November to celebrate their nuptials. We can’t wait to see photos from what’s sure to be a lavish celebration of their love.